My system is top-notch quality. The installation went smoothly and quickly. They use quality materials that are guaranteed to last a long time. They did a really good job. They have great programs that help with installations, they were responsive to the project, and they were easy to work with. We had an issue with the layout, but they took care of it right away. I think that's what I liked best. They do everything that they say they are going to do, and they do it in a professional manner. They do it in a timely manner. I like the way that I am going to save a lot of money, and I am going to save the world some more energy. It also has good resale value. NRG Clean Power provides a wide range of solar services for residential and commercial clients in Santa Cruz County, the South Bay, and the East Bay. 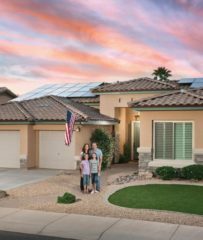 The company works with a team of subcontractors to install and maintain solar systems made by industry leaders like SolarWorld and Lennox, and it also offers energy efficiency upgrades like solar roofing, attic fans, pool pumps and insulation. The Zambrano family stands in front of their newly solar-fitted home. NRG Clean Power has been providing solar services for residential and commercial clients in Santa Cruz County, the South Bay, and the East Bay since 2011. 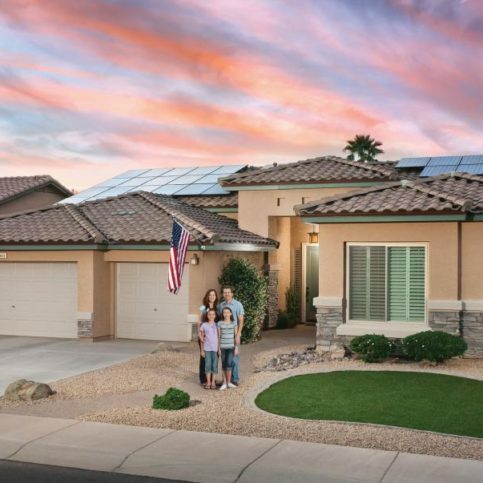 The company installs and maintains solar systems made by industry leaders like SolarWorld and Lennox, and it also has the training and equipment to offer energy efficiency upgrades like solar roofing, attic fans, and pool pumps. 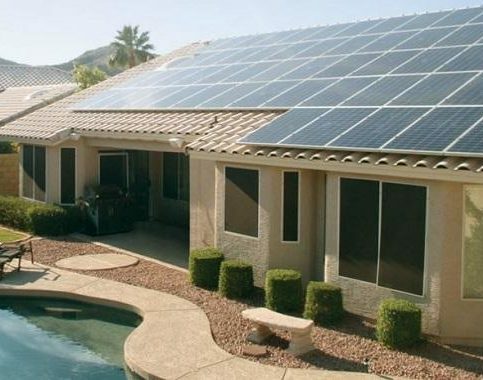 If you’re planning to install a solar power system, you’ll need to decide whether to lease or own. Q: How do I know a solar system is going to save me money? A: Besides the fact that your system will be custom-designed to do just that, each system I install comes with a 30-year production guarantee. In other words, I promise in writing that you’ll save money for at least 30 years. Q: What kind of performance should I expect from my solar panels over time? A: Any solar panel’s performance is going to degrade slightly over time. For example, my panels have a degradation rate of 0.35 percent per year, which is really good. 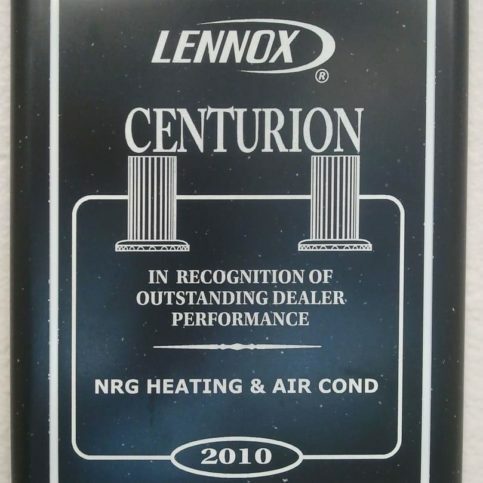 By the end of the 30-year warranty period, my panels are guaranteed to be performing at a minimum rate of 86 percent. 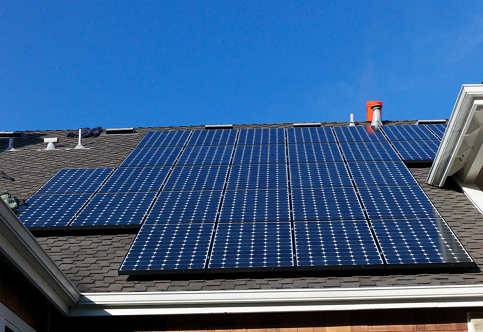 Q: What kinds of solar panels do you install? A: I only install panels that are manufactured in the United States. Q: What if I need to replace my roof in the future? A: My solar panels are on tracks, which makes them easy to remove and replace. I only charge a labor fee to remove and reinstall panels for a re-roofing project. Q: Can I install a larger solar system and sell my excess energy back to PG&E? A: Yes, but I don’t recommend it. If you’re just doing it to make extra money, it’s not really worthwhile because PG&E will only pay you pennies on the dollar. NRG Clean Power installed this 6kW solar system for the Flath family in San Jose. 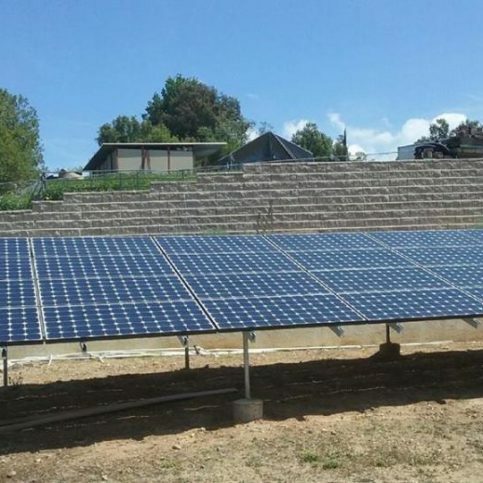 NRG Clean Power installed this 8.5kW solar system for the Ting family in San Jose. Tom Amitay is district manager of NRG Clean Power, a Diamond Certified company. He can be reached at (831) 708-8978 or by email. Outside of work, Tom likes to stay active with pastimes like playing basketball and hiking on local trails. He also enjoys going to the movies and hanging out with friends. A: The future—maybe 20 years from now just to see what technology is like. CANOGA PARK — While most people have a rough idea of how solar power works, there are still a few little-known facts about solar panels and how they function. 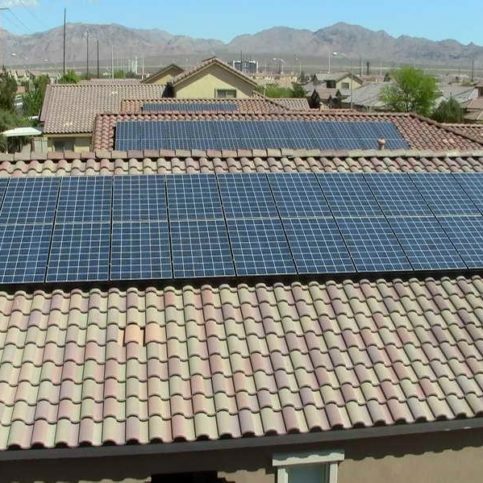 For example, when solar panels are installed, they’re not in direct contact with the roof; rather, there’s typically a 5- to 6-inch gap between the panels and the roof. This is no coincidence—it serves a functional purpose. 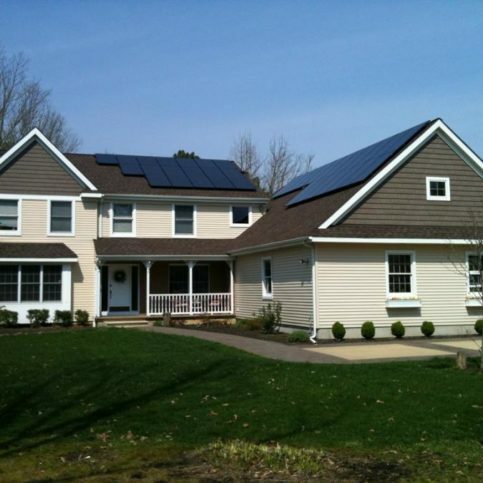 To maximize sun absorption, solar panels are usually installed on the hottest area of the roof. This offers the added benefit of blocking sunlight from directly hitting the roof, which reduces heat transfer into the home’s interior. Furthermore, the gap between the panels and the roof creates a cool airflow space, which further insulates the home from the sun. In this way, solar panels not only convert sunlight into energy for the home, they also naturally lower the home’s indoor temperature on hot days. 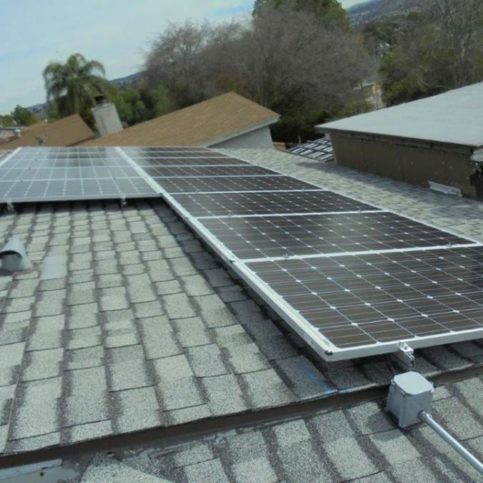 CANOGA PARK — Host, Sarah Rutan: When it comes to installing solar panels on a roof, strategic placement can provide some added functional advantages. Today we’re in Canoga Park with Diamond Certified Expert Contributor Tom Amitay of NRG Clean Power to learn more. Diamond Certified Expert Contributor, Tom Amitay: So, a lot of people are not aware, but the solar panels are actually not going directly on the roof. Usually, there is about five to six-inch cap from the panels and to the roof. And usually the panels will go on the hottest spot on the roof. So, especially on a hot area houses that are second-story. By doing that, you also creating another installation there because the sun won’t hit directly the roof and there’s also a lot of air flow underneath. So, usually on hot areas it’s also helping to cool down the temperature in the house a lot during the hot summer days. NRG Clean Power : Average 9.1 out of 10 based on 66 unique customer surveys of customer satisfaction. They do good work, very professional people. They are passionate about what they are doing. I think they were amazing, "10s" across the board. They were really efficient in every aspect. They were thorough and addressed all concerns when we had issues with panels that weren't leaning to the sun properly. They fixed it and now it's great. Everything else was perfect, last year PG&E was only $59. Two employees that were super professional and nice to work with, one was a project manager and the other was our saleswoman. They were amazing, for the sales to the project, they were able to address many main concerns and give us estimates on overall return of cost VS savings, they were great. They did what they said, everything ended up the way it was supposed to. I would use them if you are in need of their services, they do a good job. They were very professional, very honest about their stance on our wants versus what would actually be most efficient with the placement and set up of the panels. They were really good. They were not scared to give their honest opinion. I would say to others that they can trust the advice the salespeople give, they hire the type of salespeople who are looking for the biggest deal possible, they care about the most efficient system for your life style. The project managers are amazing at follow-ups and ensuring things piece together. They were a great team, very professional. They were able to achieve everything we wanted, their sales and project management teams are amazing, they were true professionals. Give them a shot, they are willing to work hard to make sure you're satisfied. We are very happy with the results we are getting. I thought they were good. I would recommend them. The sales girl, I forget her name, was extremely helpful. They were on time, and delivered what they said. I thought the work was done efficiently, the pre-installation teams were very good, gave me a lot of great information. I would recommend them and have. The end result was the best thing, everything turned out. They have done an excellent job throughout the whole process, they are very thoughtful, and very honest, can help you with design aspects if needed. Overall, we were really satisfied with the results. They just have an overall results-driven process. I would recommend them to others, they are really knowledgeable. They were honest and able to fix our issue, made some future recommendations. I feel that if you are in the market for new solar, they are a good choice. They were very good at keeping us up to date on the timeline. I recommend them highly, they did a great job for us, they stop by periodically to check up on things. It's nice they care enough to stop and check on the equipment. They were just amazing, from start to finish, the most professional people around. I think they would be hard to compete against. They were professional, honest, and efficient. I mean everything you would want in a company working on solar. I enjoyed working with them all, everything turned out great. We now save so much on electricity, it's insane. They save me a lot of money, like a significant amount.